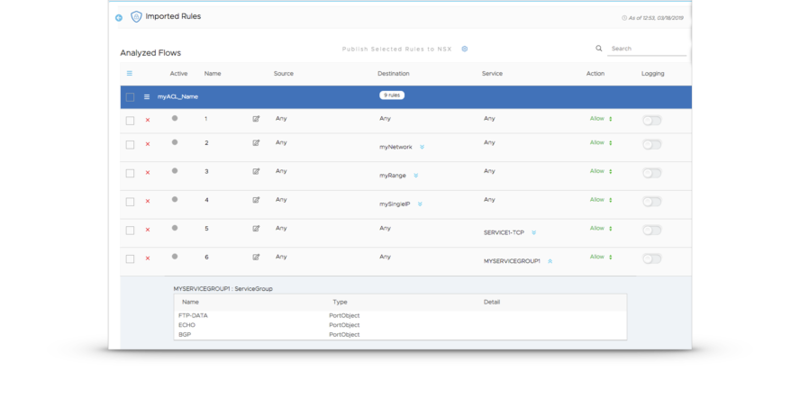 Quick and Easy ReSTNSX provides an exceptional experience for NSX automation and day 2 operations for both NSX-v and NSX-T. In addition to these core capabilities, ReSTNSX also has numerous integrated tools for enhanced troubleshooting and 3rd party integrations. Each tool was designed with the user experience in mind - eliminating the need for multiple 3rd party tools and scripting. One of design principles of ReSTNSX is to integrate processes and tools into a single, unified platform for NSX provisioning, day 2 operations and troubleshooting. Many tools are natively incorporated into the management function for a given device, object or policy. One example of an integrated troubleshooting function is shown below were ESG NAT troubleshooting commands are quickly and easily launched from the management dashboard with a single click. This alleviates the need for jumping into another application just to see the status of this feature. ReSTNSX will execute the appropriate commands to get the user the information needed relative to their location in the application. In this example, "show edge <edge-id> nat" was run via Central CLI on behalf of the user for a given ESG (ESG-2). In addition to the object and device-level tools, ReSTNSX also provides a series of standalone tools within the application to perform actions that would normally be purchased or developed separately. By doing so, ReSTNSX becomes your single management point for NSX. Below are few examples of such tools. VMware's vRNI is one source for gathering application flows in preparation for developing NSX dFW rules as it has visibility into both physical and virtual IPFIX data. Unfortunately, with NSX or vRNI, there is no easy or automated method to filter, combine, edit and publish rules to NSX. ReSTNSX's Security Planner for vRNI addresses all of these limitations with a simple 3 step process to transform live flow data to NSX policy. The user has also applied an exclusion filter to omit flows that contain destination TCP or UDP port not equaling 123. Up to 5 criteria may be added per collection. Once executed, ReSTNSX will reach out to vRNI in real-time to collect the requested data, analyze and optimize based upon the user settings. A dashboard is presented to show all the collected flows and the status of the current collection. When the collection and analysis is done, the user can click the magnifying glass to inspect the results. Let's go look at the collected flows. Here we can see the optimizations that occurred (10 flows reduced to 5 based upon combining like destinations) and any removed duplicate flows if present. During this step, the user can further manipulate the data prior to publishing - including merging raw IPs into NSX IP Sets; merging rules together and resolving the IPs to VM-ID. Once the rule sets have been verified, the user can do a one-click publish to the active NSX-v or NSX-T data source. Note: these same rule sets can be published against multiple NSX Managers. If you are you trying to migrate security policy from another vendor to NSX you have likely noticed that it is not an easy task. Although rule anatomies are similar across vendors, the referenced objects and options are vastly different. Normalizing policy that can be migrated to NSX is difficult, time consuming and an entirely manual effort. Even with scripting, transformation logic is needed to convert these policy and objects. 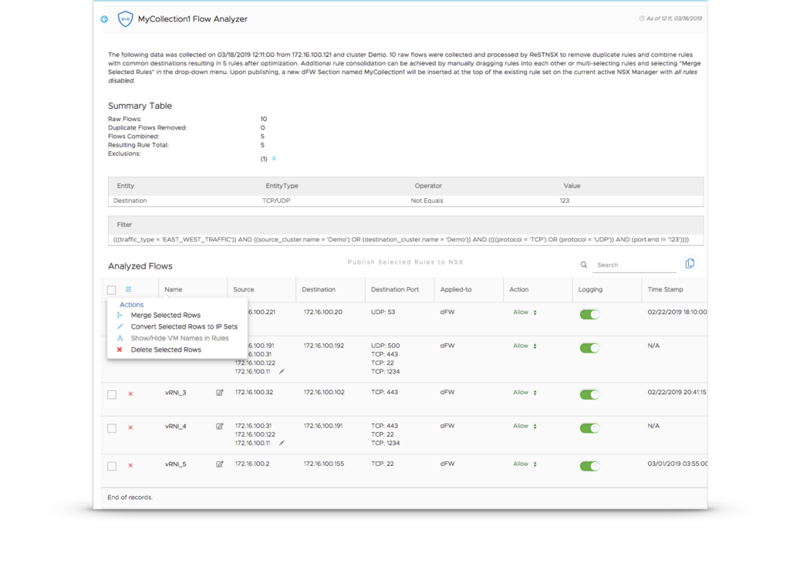 ReSTNSX's Security Planner for Firewall Rule Conversion has you covered. 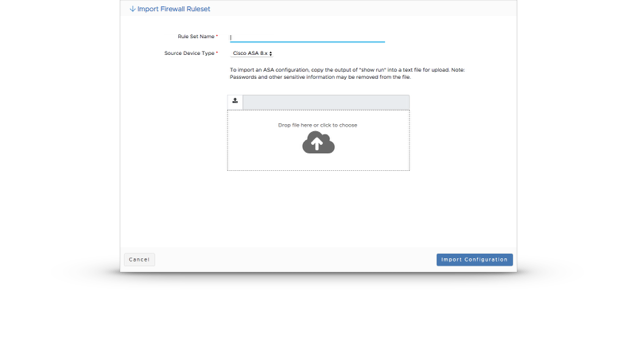 Similar to other ReSTNSX tools, it is a 3 step process to migrate your configs. In this example, we will convert a Cisco ASA 9.2 firewall rule set to NSX-v. The user captures a "show run" from the ASA and saves it to a text file for upload. Similar to the vRNI Planner, ReSTNSX provides a dashboard of all imported configs where the user can drill down further to see the conversion. Select one or many rules to publish to NSX. Note: each rule name is created as a dFW section for easy grouping of like rules. Once the user clicks publish, ReSTNSX creates all dependent objects (IP Sets, Services, Service Groups) as needed and associates them to the respective rules. For any service not defined in NSX, ReSTNSX will create using the IANA defined protocol and port numbers. Command Line Interfaces (CLI) are extremely powerful when looking at details of an environment or when troubleshooting a problem. 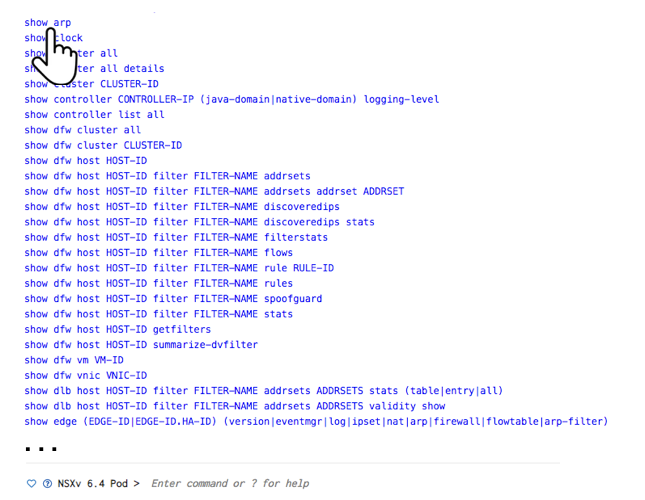 Just like most vendors, NSX provides CLI access to NSX components using their own command syntax. As a result, users must learn the vendor specific commands. In a troubleshooting situation, users must navigate between CLI windows and the NSX UI to get a complete picture of the environment. ReSTNSX's Central CLI enables these commands through the web interface while providing a point and click feature that alleviates the need for memorizing command syntaxes. 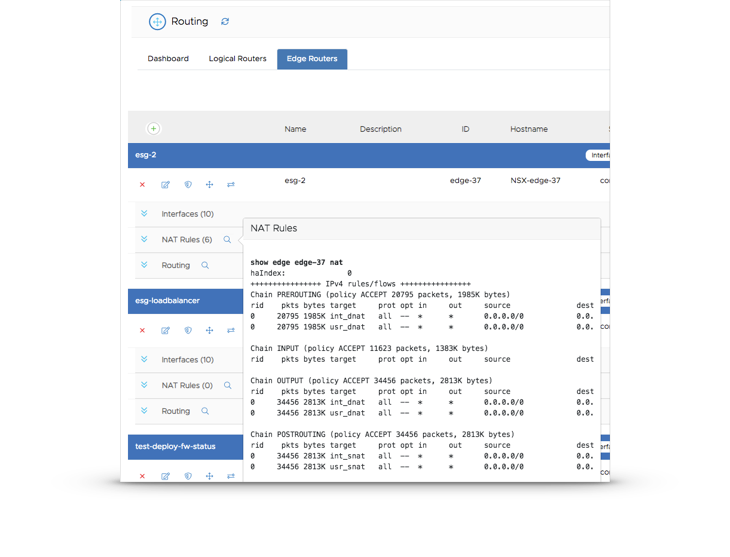 With this approach, users do not need to open up separate Telnet/SSH sessions to access the NSX CLI. A series of pre-defined CLI command buttons are provided to the user for the most common commands. Users can also save any call to their favorites list. In this example, the user clicked the "Logical Switches" button and ReSTNSX ran the command "show logical-switch list all"
ReSTNSX also provides intelligent hyperlinks to drill down further for information. Throughout the ReSTNSX Central CLI experience, the user is clicking their way to information without needing to type a command. CLI input is also available for the die-hard CLI users. For those of you who script or provision / monitor NSX components through API understand the complexities of the different authentication requirements and variations in API calls. NSX-v, NSX T and vCenter all have different requirements for connectivity that can be cumbersome to manager. ReSTNSX enables users to execute GET, POST and PUT API calls against any of the defined data sources without needing to worry about auth tokens or the URI for the most common calls. These calls are executed against the active data source selected in ReSTNSX. 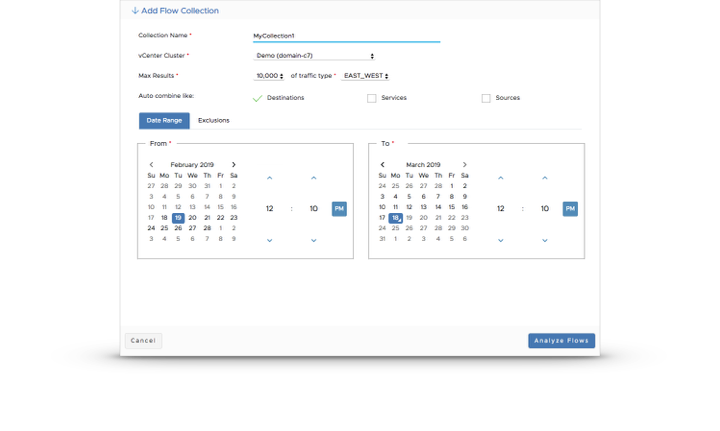 Options within the tool also include the ability to define per-user favorites for NSX and vCenter along with per-user URI history. GET IP Sets selected from the Favorites list. No URI knowledge needed.